John D MacDonald was born on July 24, 1916 and died on December 28, 1986. He lived in the Sarasota area for many years, and wrote many of his books while living there in his house on Siesta Key. He became one of the best read and widely loved Florida authors of his generation. I first learned about him from his number one fan, my father. The first novel I read was "Crossroads" in 1959. I read my first Travis McGee novels in 1964, and have read every once since more than once. They are good reads the second, third and fourth time too. These books will show you how other Florida authors like Randy Wayne White and James W. Hall were inspired to create their characters Doc Ford and Thorn. This Florida author also wrote "Condominium" and "The Executioners". "The Executioners" was made into the movie Cape Fear. The first version in 1962 starred Robert Mitchum and Gregory Peck. The sequel in 1991 starred Robert DeNiro and Nick Nolte. 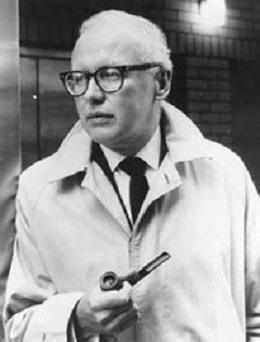 John D MacDonald patterned many of his writing techniques after Hemingway. Like Papa, he was a master of economy of words and understatement. His villains were memorably powerful and sinister, and his novels are hard to put down once you start reading. Even though he's been dead for many years, this Florida author's works are still timely and compelling. Current bestselling author Dean Koontz considers MacDonald to be his literary guru. He once said if you want to become a best selling author, you should read each John D. MacDonald novel three times. First, just to enjoy the story. Second, to see how he fleshes out his characters. Third, to see how he develops his plot. The Spring 2009 issue of "The Florida Historical Quarterly" has a picture of MacDonald on its cover. This issue has a very informative article by Jack E. Davis about "A Flash Of Green", a non-McGee book. Mr. Davis entitles his article Sharp Prose for Green: John D MacDonald and the First Ecological Novel. Other Florida authors have written ecological novels, but "A Flash Of Green", with its Sarasota setting, may have been the first. John D MacDonald wrote 78 novels and almost 500 short stories. Many of his stories are set in Florida, making him probably the most prolific of all Florida authors. Most notable of the Florida books are his Travis McGee series. Each McGee novel has a color in its title. These 21 novels are packed with mystery and adventure, and describe the changes in Florida between 1964 and 1985. Travis McGee was a self-described salvage consultant. He would salvage things for people that had been stolen or acquired by less than legal means, but not quite bad enough that the police could get involved. He would try to recover the stolen items and charged half of the recovered value as his fee. If a prospective client balked at the fee, Travis often said, "half of something is better than nothing". 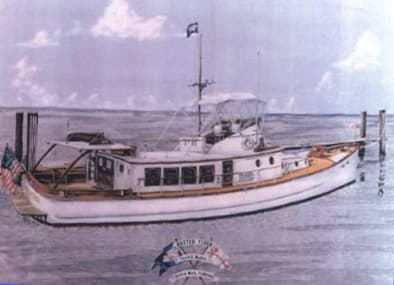 Travis lived aboard his 52 foot houseboat, the Busted Flush, at Slip F-18, Bahia Mar, Fort Lauderdale, Florida. He had plenty of gorgeous girlfriends, but most of them didn't live long enough to settle down into wedded bliss with Travis. His sidekick was the noted brilliant economist Meyer, who also lived at Bahia Mar aboard his stubby little cruiser named John Maynard Keynes. Whatever Meyer's last name is, you will never find it mentioned in the books. Of these novels, "Condominium" and "Barrier Island" are excellent representations of the development of Florida and some of the problems it presents. Here's a good website that has the complete plots of each of the 21 books in the Travis McGee series.